Normally I try to find interesting things to write about, but today it’s all about ME! I’ve got lots of news to share so here goes. GOOD NEWS: Last week, I had my second and God willing last Gamma Knife treatment for my brain tumors. It wasn’t easy but it’s over! It can take up to a year for the tumor to die or for complications to arise. I have a choice–sit around worrying and waiting for complications, specifically becoming deaf or I can move forward and enjoy the life God’s given me. I’m choosing the enjoying life one! BETTER NEWS: I’ve recently joined two blogs as a contributor writer. THE BARN DOOR at www.thebarndoor.net is a fun blog all about living in the midwest. It’s a fun blog about all sorts of things. 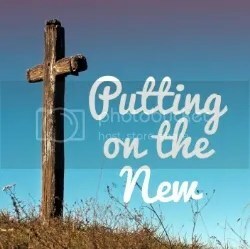 The second blog is PUTTING ON THE NEW at www.puttingonthenew.com. It has a variety of features including devotions; book reviews; and our daily walk with Jesus. Another blog I participate in iS GEEZER GUYS AND GALS. And yes, it’s all about life and our perspective as we age–in a fun way. And, of course, I still have my devotional blog at www.powerupwithGOD.com I hope you’ll take a moment to check out these other blogs. BEST NEWS: i received book contracts for two new books a few days ago. YAY!! REDEMPTION is the third book in my Sisters By Choice series. DEADLY COMMUNICATIONS is the first in a new mystery novella series that features a crime-fighting speech pathologist! And no it’s not based on my life. I may have been a speech pathologist but I’ve never solved or been involved in a criminal investigation. MORE BEST NEWS: Last but not least. 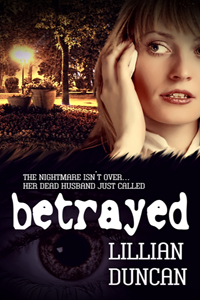 BETRAYED will be releasing in January. It is the second in the Sisters By Choice series. Deception was the first and is about a pair of estranged twin sisters, Without giving the story plot away, BETRAYED features the wife of the bad guy from DECEPTION as she tries to rebuild her life after the betrayal of her husband. My publisher told me it’s her favorite book so far that I’ve written! It’s a good one–I think! What do you think? Looks spooky, right? thanks, Sandy. I can’t see a reason to waste time worrying about bad things that may or may not happen. God’s got my back.